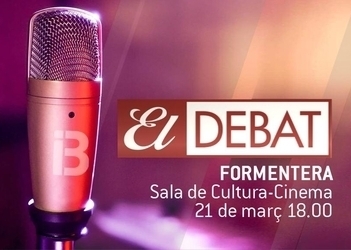 At 6.00pm this Thursday, March 21, the IB3 television crew will be at the cinema (Sala de Cultura) shooting El Debat. Journalist Elena Gregori will moderate as representatives of the parties of the Formentera Council (Gent per Formentera, PP, PSOE and Compromís) engage in debate. Admission to the event is free and open to all.